Last Friday I spent the day at a health spa with a dear friend of mine. I should have been totally relaxed. However, it was ‘Friday Five’ day and as beautiful as this spa was, it happened to be in the back of god-knows-where, with very limited Wi-Fi. I skulked in dark corners frantically tapping my phone to try and retweet my fellow contributors and reply to comments. Apparently it’s frowned upon for spa guests to climb the trellis that runs up the house exterior, even if they are in search of a signal! So in the end I had to abandon all hope and enjoy myself – it was tough, but I managed. A collection of stunning zombie/survival horror stories from David Moody, author of the AUTUMN and HATER novels (optioned for film by Guillermo del Toro). Keith’s in his early twenties. No girlfriend, no hobbies, no future. He spends his days working in an office and his evenings, weekends and just about all his free time looking after his alcoholic dad. And then the zombie apocalypse changes everything. Suddenly Keith’s free. For the first time in a long time, he’s got nothing to worry about (apart from several hundred thousand reanimated corpses heading his way). But then he meets Anna, and everything changes again. Cocky, cool, confident… she’s everything Keith isn’t. Holed-up together in an isolated bungalow, besieged by the living dead, will they survive, or will they tear each other apart before the dead get anywhere near? I have my eldest son and our very own, Terry Tyler, to thank for my choice this week. After they both had told me off for not watching The Walking Dead, I have now seen all five series on catch-up (and eagerly await season six). Of course, this now means I am hooked on zombie stories, and so I was instantly attracted to this book. The dark, moody and blood soaked cover grabbed my attention immediatly, and the title delivered on my search keyword. The blurb is enticing, and there is the bonus of four additional short stories. An ideal book to test the apocalyptic waters. The book has 197 pages, and the Kindle price is £2.39. There are 13 reviews on the UK site, all are four and five stars, and ten reviews on the U.S. site (70% are five stars). Here is the most helpful UK review (5 stars). Moody’s latest work, the novella length ‘Isolation’, centres on Keith: an Average Joe call centre worker who lives at home with his Dad and is living a fairly mundane existence; that is until he finds the most extraordinary circumstances thrust upon him and he finds the entire populace appears to have died… and then risen. Nothing different from the usual zombie tale so far, right? In common with much of the author’s back catalogue, the strength of ‘Isolation’ does not lie in the circumstances but with the characters themselves. 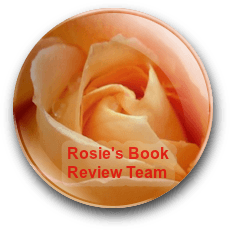 Moody takes the reader into Keith’s mindset and explores themes and emotions often overlooked by contemporary tales: fear, anxiety and paranoia among others. Delving into such matters lends greater depth to ‘Isolation’ and sets it apart to superficially similar stories. Again, Moody deals with issues often overlooked within the sub-genre, such as how the key players deal with hunger, hygiene and indeed, each other. It is the relationship between Keith and Anna, a young seemingly streetwise girl that is the main driving force behind ‘Isolation’ and witnessing the dynamics between the two shift throughout the story as they also contend with the walking dead outside in an increasingly dirty and bleak world keeps the reader thoroughly engaged. My description so far of ‘Isolation’ has largely negated Moody’s zombies here. Again, the author does not neglect the more horrific aspects of this story and considers the “reality” of such a situation and subsequently, the walking dead continue to decay and putrefy as proceedings move on. 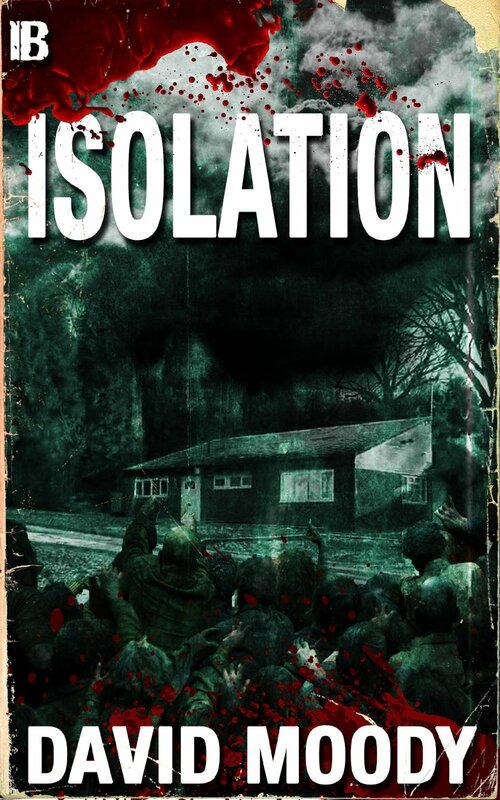 For those concerned about “bang for their buck”, you’re not only getting the ‘Isolation’ novella for your money here but four short stories from the author, all focused on zombies. My favourite of the four was ‘Tightropes’, which follows a member of a zombie clean-up crew whose job appears to be a whole lot more straightforward than his home life… Although something of a pun, picking up ‘Isolation’ should be a total “no-brainer” for followers of the author, zombie junkies, and horror fans alike. I haven’t read anything else by David Moody, but he is held in high regard by the reviewers of Isolation. His other titles also receive four and five star reviews. As a newly converted zombie fan, it’s an easy BUY for me this week. Ooh that cover looks scary! Just right for a Halloween read. It already makes the hairs on the back of my neck stand-up. Perfect for readers who love this genre, me? I think it would scare the bejeebers out of me, I’m afraid I’ll have to pass. Yes, very scary cover but I’m not really into zombie fiction so it would be a PASS from me this time. I followed this link to read your post. I find it an interesting topic. As I have tried my hand at a zombie story or two, I can fully appreciate the work to craft a tale, not only from the MC view, but also show what’s happening elsewhere. Takes a bunch of work, actually. Thanks for bringing this book to my knowledge! A friend told me she runs a dance camp far up in the hills of Pennsylvania. Every morning, she says, the meadow outside the camp looks like the zombie apocalypse, with people wandering around, holding out their phones and looking for a signal. Suddenly, one will stop dead [sorry–couldn’t resist pun!] and start frantically tapping. The other hapless zombies will rush over, their phones extended, hoping to grab some of the signal. Isolation sounds great! I’m not a horror fan, and haven’t watched The Walking Dead—don’t tell Terry—but this sounds like fun. I’d buy too. That’s a great sales gimmick, buy the book and get a free pillow!